Just wondering, would I be better off with getting a TIE advanced (lvl 85 7* Vader Gear 10), or a TIE Reaper (lvl 85 7* Shoretrooper lvl 68 Gear 10 4* Deathtrooper Gear 7)? Also, how does having two pilots differ from one pilot? Would it be the flat power of one character + the other character, which would be absolutely ridiculously overpowered, or is there some kind of equation that divides the power between the two? If so, would my underleveled death trooper drag down the power of the TIE Reaper? 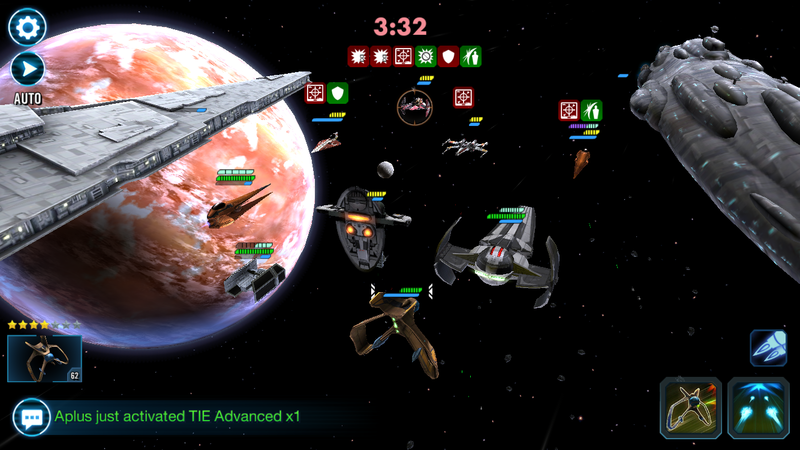 Currently, TIE Reaper continues to drain enemy capital turn meter after death. We have yet to get dev confirmation on whether this is a bug or WAI. Until it is fixed (or if it isn't due to WAI), TIE Reaper is broken powerful (you can deny your opponent of any reinforcements if played right, making it an 8v5 battle). If it is fixed, TIE Advanced will be better if running a target lock-focused fleet. Ships with multiple crew have their Crew Contribution Modifiers halved (or divided by 3, in Cassian's U-Wing's case), so the contribution is essentially 50% from each crew member (or 33% in Cassian's case). Thanks for the advice! Originally, I was hoping for TIE advanced, but the "bug" got me intrigued, so I was starting to incline towards the Reaper instead. 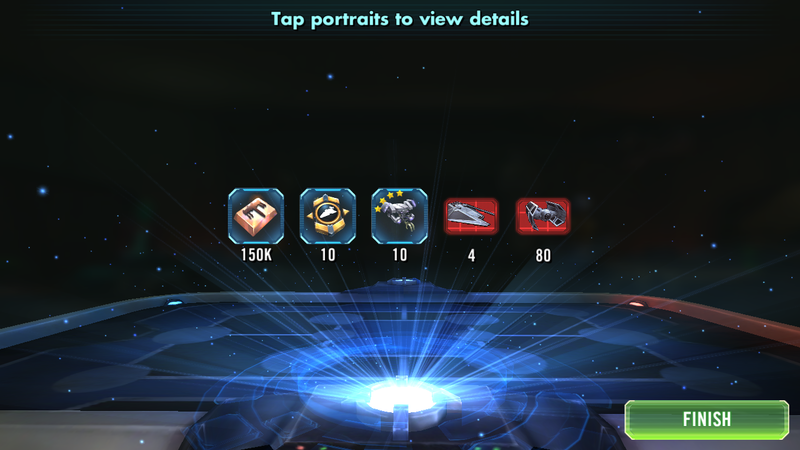 Ironically, the pack gave me TIE Advanced, and it sure was a target lock feast! Great value coupled with the fact that I had a couple of shards from previous tournaments (30 shards) so hopefully he becomes farmable soon!